Designed with a traditional style and strong build, this vanity is a perfect choice for any bathroom. It comes with a single-door cabinet and drawer for even more room to keep items. Put a nice touch on your bathroom's look with this vanity set from Wyndham Collection. Acclaim 24-inch W 1-Drawer 1-Door Vanity in White Designed with a traditional style and strong build, this vanity is a perfect choice for any bathroom. It comes with a single-door cabinet and drawer for even more room to keep items. Put a nice touch on your bathroom's look with this vanity set from Wyndham Collection. 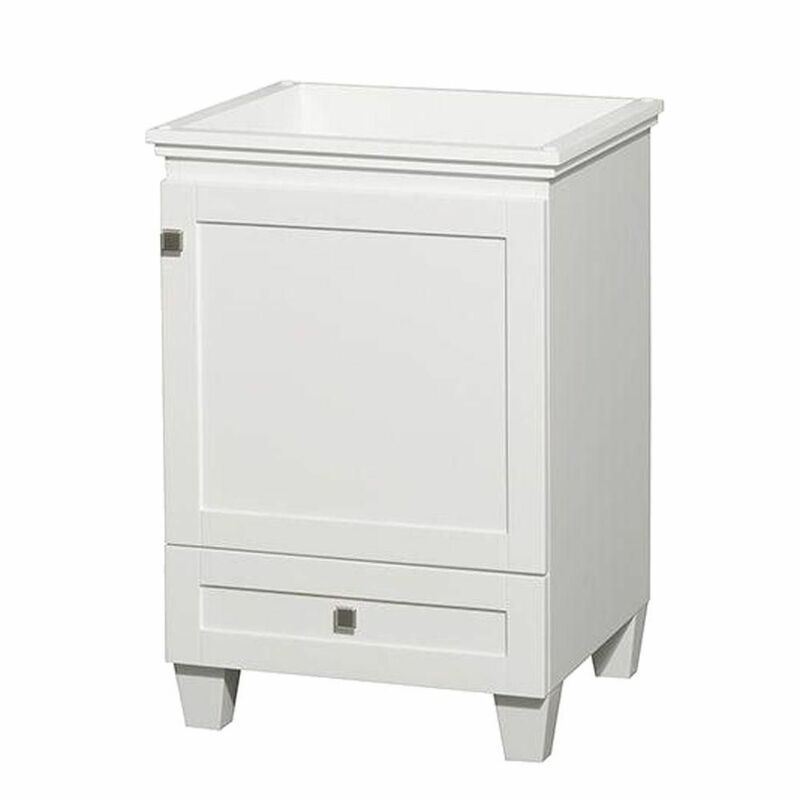 Acclaim 24-inch W 1-Drawer 1-Door Vanity in White is rated 5.0 out of 5 by 1. Rated 5 out of 5 by BethinChicago from I am very happy with this purchase. There is a lot of room for storage, soft closing doors, and w... I am very happy with this purchase. There is a lot of room for storage, soft closing doors, and well made. I changed out the knobs because they hurt my hands, but for an additional 4 dollars in knobs, this can't be beat.